Learning to scan the spiritual cord. Orlando Yoga, Meditation and Energy Healing offers a variety of yoga classes each week. We have a dedicated group of amazing yoga teachers offering different styles of yoga. We regularly offer courses on Pranic Healing (Level 1/Basic, Level 2/Advanced and Level 3/Pranic Psychotherapy). Spirituality courses include Achieving Oneness with The Higher Soul. Higher courses are offered by Master Pranic Healers on occasion. On Thursday evenings there is a Pranic Healing night which allows anyone to experience meditation and a Pranic Energy healing mini session. 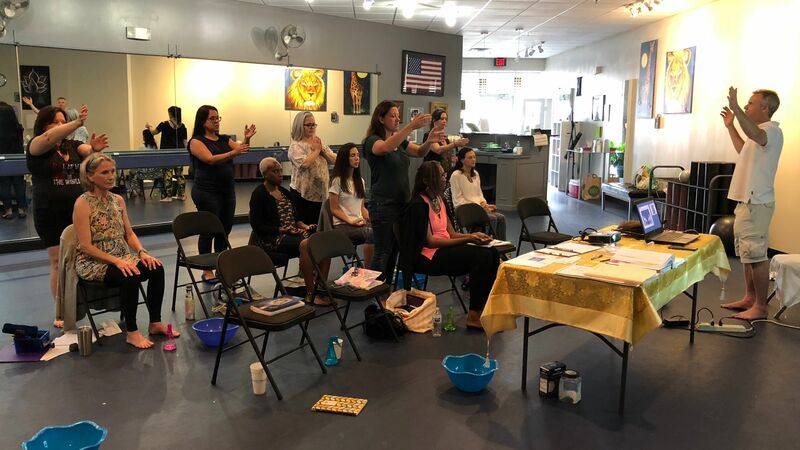 Special events and workshops are offered for parents, educators, and therapists working and living with autism, ADD/ADHD, sensory processing disorder, communication disorders and other exceptionalities.